Karen Gurnon begins her first season as the head coach of the Nichols College women’s soccer program in 2017. 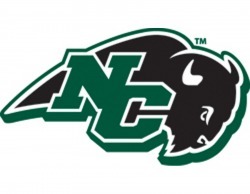 Gurnon spent the 2016 season as the head coach at nearby Newbury College, where she was also the Senior Woman Administrator, Student Athlete Advisory Committee (SAAC) Advisor, and an Admissions Counselor. She guided the Nighthawks to seven wins in 2016 – a two-win improvement from the previous season – and a berth in the New England Collegiate Conference (NECC) Tournament. Gurnon saw two student-athletes receive All-NECC Honors, and the team received the National Soccer Coaches Association of America (NSCAA) Team Academic Award for posting a team grade point average (GPA) of 3.0 or higher.ogy in 2012. 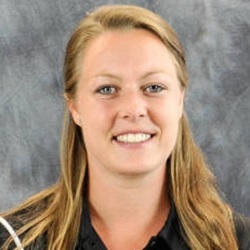 Prior to her arrival at Newbury, Gurnon had assistant coaching stints at Division I Colgate (2014) and Albany (2015). She helped the Raiders capture the Patriot League Regular Season Championship and post a final record of 14-3-2. Gurnon worked primarily with the goalkeepers and coached the league’s goalkeeper of the year, Brenna Mason, who recorded 11 shutouts in 2014. Gurnon was a four-year member of the women’s soccer program at the University of Connecticut (2008-12), where she graduated with a Bachelor of Arts in both psychology and anthropology. She appeared in 83 games for the Huskies (75 starts), guiding them to a pair of Big East Final Four appearances and two NCAA Tournaments (2009, 2010). A Dean’s List student, Gurnon was a four-year member of the All-Big East Academic Team. Gurnon currently coaches the FC Boston Worcester/Auburn club team after previous club coaching stints for the Northeast United Soccer Club (2011-13), Ottawa Fury Soccer Club (2013), and the Odyssey Sport Soccer Club in New York (2014-15).